In the modern construction industry, building design isn’t just focused on creating buildings that are energy efficient at the point of completion, as they also need to consider their future operation. Gone are the days when Building services design consultants simply concerned themselves with designing safe, fit for purpose buildings, as they now have to include heating, cooling and ventilation features that rely much less on traditional types of energy use whilst protecting the environment over their lifecycle. At Varming Consulting Engineers, our m & e consulting engineers are able to incorporate both established and cutting edge technologies that harness renewable sources of energy like sunlight and wind. When buildings are created in this way, it reduces whole-life operational costs for the owner and hugely reduces the ecological impact of the building. A good example can be seen at a project our mechanical and electrical engineers worked on at the University of Limerick. In this €15m project, we were commissioned to design the m & e services installations, which included dynamic thermal simulation to design and validate a natural ventilation strategy. The m&e design of the analogue devices building at the University, which was carried out to BREEAM Excellent standard and resulted in an A3 BER, was shortlisted for an award by the Chartered Institution of Building Services Engineers (CIBSE) Ireland in 2018 http://bit.ly/2TvdzIM. Full details of the project can be found by following this link http://bit.ly/2Tv1x2b. 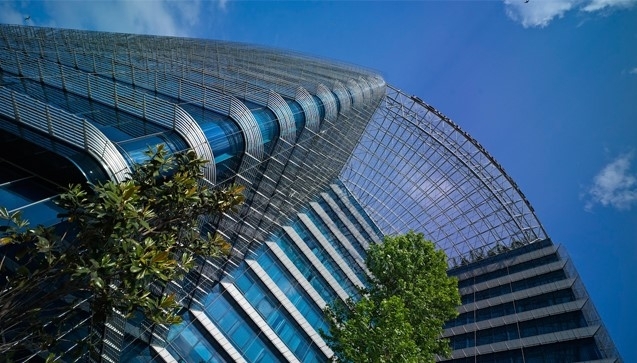 The need for incorporating energy efficiency and sustainability into the full lifecycle of buildings is an obvious one, as it’s the only way a design can be created that protects both the environment and the building owner’s asset value. If you would like to know more about sustainability, energy efficiency or the full range of services we offer, visit us online at www.varming.ie or call our Dublin HQ on 01 4872300. Our team is ready and waiting to help you in any way they can.